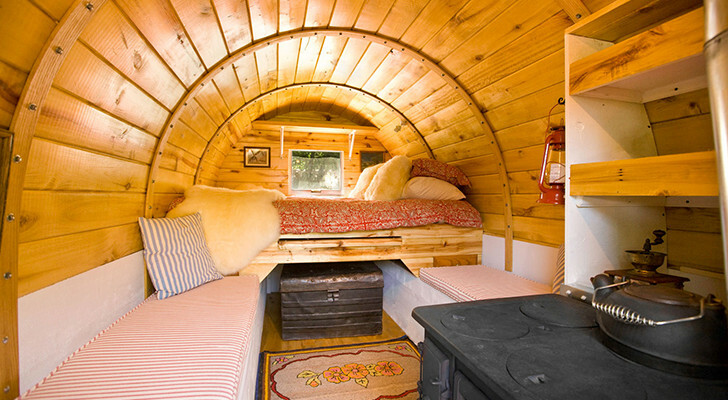 Yet another one of a kind Airstream remodel. 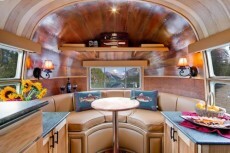 This time however this Airstream remodel had some deep pockets and corporate backing. Yet another one of a kind Airstream remodel. This time however this Airstream remodel had some deep pockets and corporate backing. 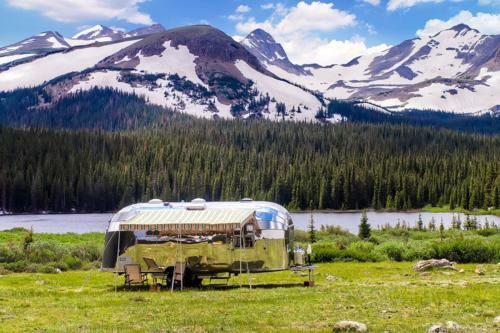 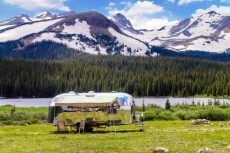 This impressive Airstream was spear headed by Orvis, the outdoor specialty retailer. 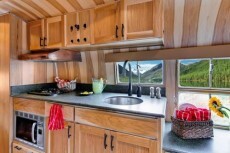 The trailer itself was remodeled by Timeless Travel Trailers, who is a highly regarded travel trailer renovator out of Wheat Ridge, CO. 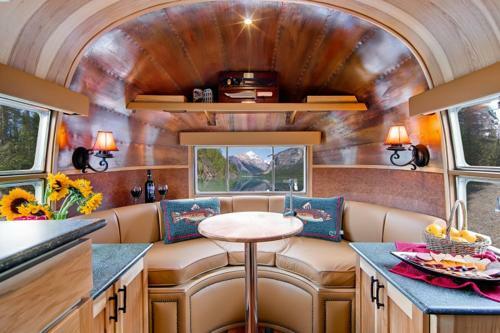 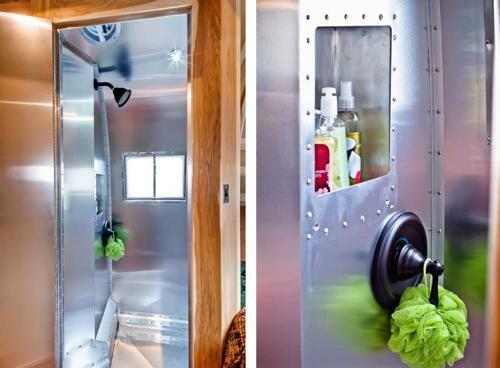 These two teamed up to create an Airstream remodel that certainly has an artisans touch. Orvis insisted that no detail was too small. 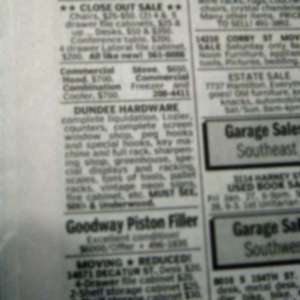 This in many ways means it may be in better condition than the day it rolled off the assembly line. 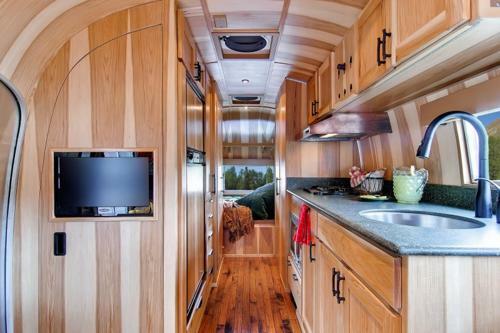 It also had a mechanical overhaul to the tune of a new axle, brake system, suspension, tires, wheels and coupler. 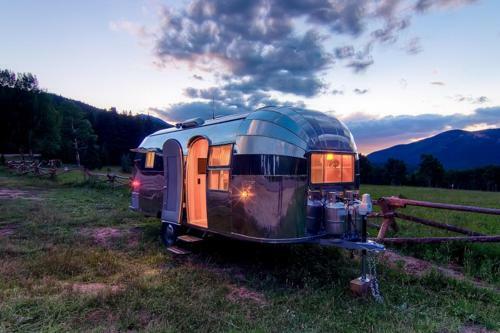 Perhaps one of the best aspects of restoring is that its possible to bring all the components up to current industry standards which was also the case here with this Airstream Flying Cloud. 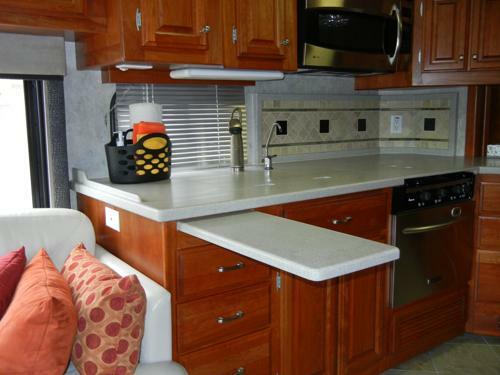 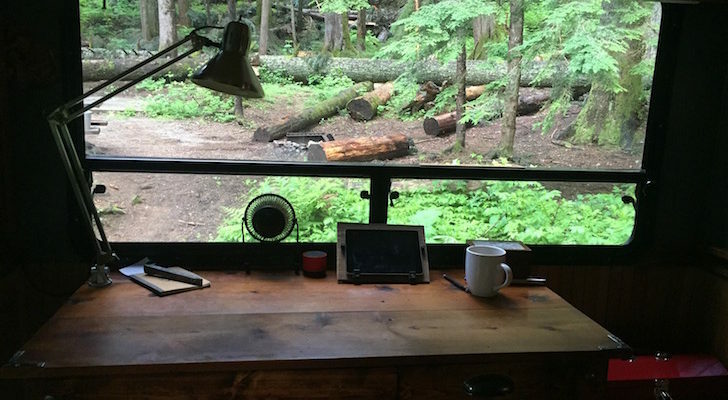 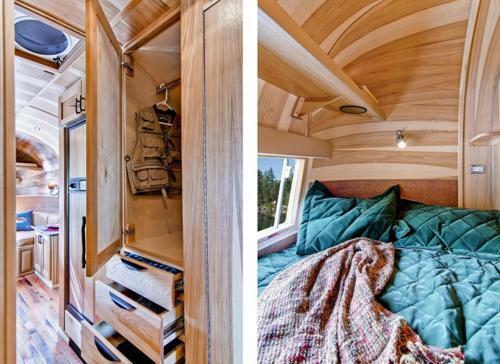 Interestingly, this travel trailer remodel wasn’t to be Orvis’ for long. 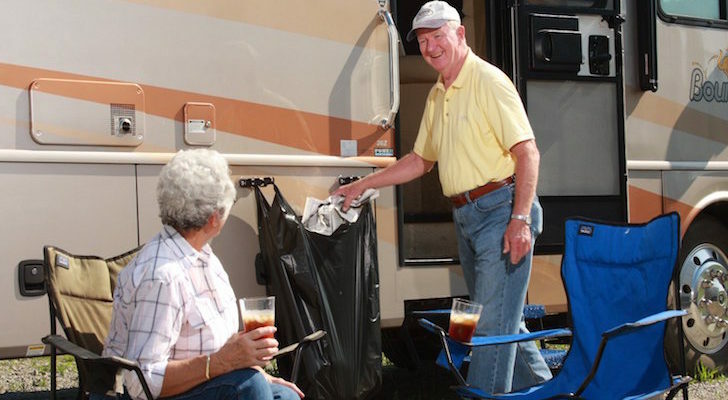 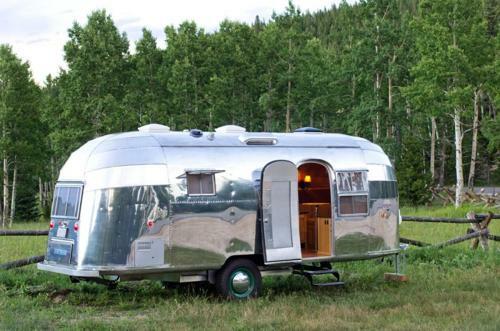 The Airstream trailer was auctioned off soon after completion in 2011. Its unclear how much it sold for in the end but we can rest easy knowing that many of us would not have paid the premium that it would have required to get those polished copper ceiling tiles. To see detailed specifications, photos, and more visit OrvisTimelessAirstream.com.